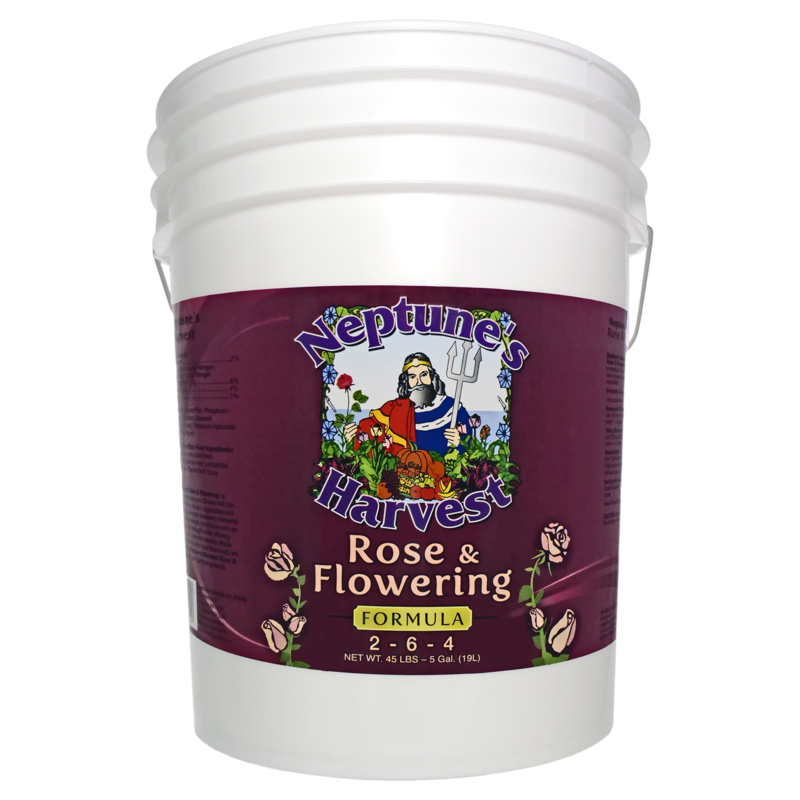 Introducing Neptune’s Harvest "Rose & Flowering” formula. Rose & Flowering fertilizer was uniquely formulated for flowering plants to increase their vigor during flowering and to increase the volume and density of buds that produce healthy, vibrant flowers. Made with fresh fish, molasses, yucca extract, seaweed and humic acids our Rose & Flowering formula will ensure that your plants are healthy and happy, produce lush foliage and maximize their flowering ability! For best results: Rose & Flowering Formula should be used in combination with Tomato & Veg Formula as described below. Part 1: TV, during the vegging stage of the plant. Part 2: RF, once buds begin to appear, when flowering begins.